Choosing the right insulation system for the home can be difficult, especially for homeowners who have never had to worry about their insulation before. When installing insulation, the choice will usually come down to a few varieties, but how do you know which to choose when you are determining between spray foam and batt insulation? Learning about the difference between these two options can allow homeowners to enjoy a higher quality of indoor insulation, resulting in many long-term benefits. 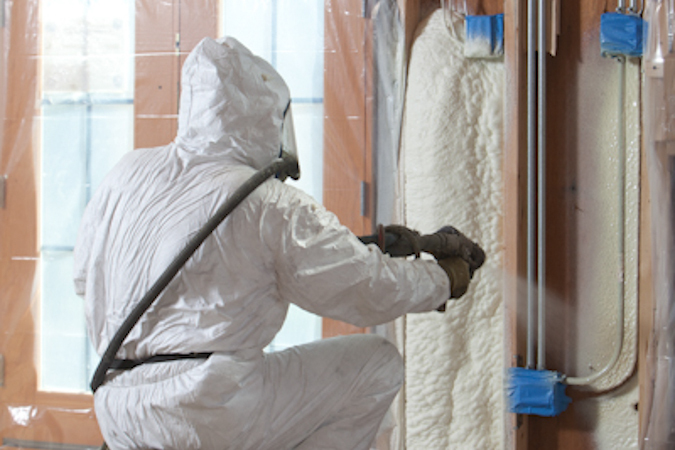 Spray Foam is a very beneficial form of home insulation. It can provide homeowners with an airtight and gap-free barrier, one that not only resists moisture but also adheres to all types of surfaces. It performs exactly as intended and can help lower the homeowner’s utility costs because it is so effective in its insulating capabilities. Once the material is dry, it can provide homeowners with impressive thermal protection, sometimes even strengthening the space between walls and floorboards as well. This type of insulation is usually applied to ceilings, floors, attics, walls and basements. It can reduce all types of infiltration, including air, moisture and allergen. Because of how water-resistant this material is, it does not develop mold easily, and its rigid shape makes sure that it will stay inside of the walls as installed. Batt fiberglass has been used more extensively than spray foam throughout history and it still holds up as one of the most affordable and reliable options. Batt fiberglass features tightly woven glass strands that come together to create a matrix. It can help slow down airflow into the home because of how many strands come together in its structure, resulting in an efficient barrier that can keep unwanted outdoor air out. These systems are usually installed in walls, attics and basement crawlspace sections. It is one of the most fireproof insulation materials available, making it a particularly desirable option in older homes that features wooden veneers. While fiberglass is not as effective at mitigating moisture damage as spray foam, it is still a reliable installation. If you would like more information on these two types of insulation and which one will work the best for your property, contact USI online to get a free quote. USI believes that excellence in every step of the process ensures timely completion and quality service, time after time.